Barbara Stanwyck made a career out of playing the streetwise dame who falls for innocent, bumbling guys who get “drunk on a glass of buttermilk.” Often that guy was played by Gary Cooper, in films like Ball Of Fire and Meet John Doe. But Stanwyck’s best matchup may have been with Henry Fonda, as the mark her grifter Jean fall for in Preston Sturges’ The Lady Eve. Thanks to Sturges’ whip-smart script and direction, a few turns are in store: Jean falls for her mark for real, then is hurt on an entirely new level when he tosses her when he finds out she’s a con artist. Her revenge is practically perfect, only marred by a horrific accent—she reinvents herself as the British Lady Eve to make Hopsie fall for her all over again, so that she can be the one to hurt him this time. Naturally, her revenge fails to fix the gaping hole in her heart, even as poor Hopsie falls into curtains and crashes into coffee trays in his ever-increasing romantic confusion. 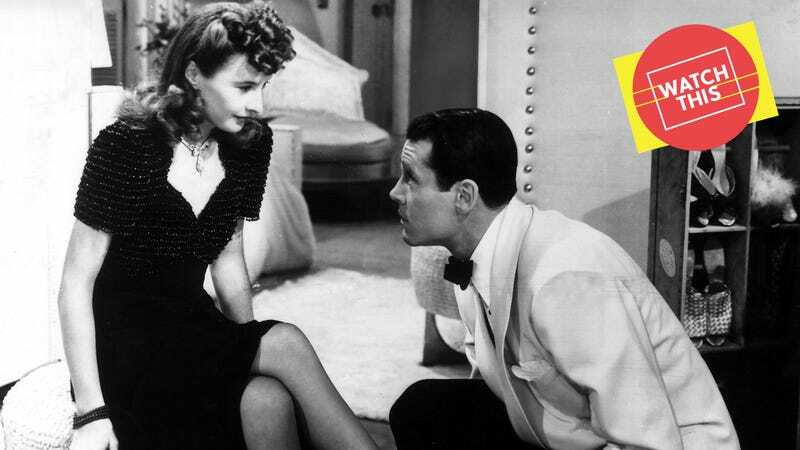 Fonda is clumsily charming, but The Lady Eve is all about the title character, a tour de force for Stanwyck. We’re impressed by her own expert card play; we truly believe this hardened young woman has fallen for the snake scientist in only a few days; we root for her even as she tortures him, but know that petty revenge won’t be enough for someone with a ferocious heart like Jean’s. And the way she gets him back may be the most ingenious twist of all. After all, as Jean explains to Hopsie about women, “The best ones aren’t as good as you probably think they are, and the bad ones aren’t as bad. Not nearly as bad.” It’s a credo that basically made Stanwyck’s career, where The Lady Eve stands as a considerable high mark. Availability: The Lady Eve is available to rent or buy through all the major streaming sites. It can also be obtained on DVD or Blu-ray from Netflix, Amazon, or possibly your local video store/library.